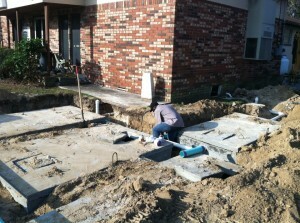 We Offer a Variety of Residential Septic Services to Residents of Lakeland, Winter Haven, Auburndale, Bartow, Mulberry, and Polk City, FL, Including Septic Tank Installation, Septic Tank Pumping, Drain Field Repair, and Much More! Residential Septic Services in Lakeland – If you’re new to owning a septic system, the maintenance and repair options can seem daunting! No need to fear; our experts at Southeastern Septic LLC can answer your questions and help you with any of your septic system installation, maintenance, and repair needs. 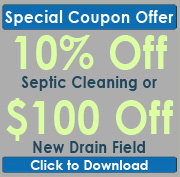 Our residential septic services have earned us a wonderful reputation among our Lakeland, Florida customers for quality work, and we would love the chance to show you why our business has blossomed over the last ten years. While our superior customer service has helped us create a great reputation with Lakeland residents, we also have the experience, skills, training and certification to keep us up-to-date with all your residential septic needs. We offer a variety of residential septic services, including septic tank installation, septic tank pumping, drain field repair, drain cleaning, sump pump replacement, grease trap installation, and much more! Our regular trainings and certifications keep us up to date on the latest in residential septic services so you, our customers, can sleep easy knowing your septic system is working properly. Our business has grown in the last few years to extend outside the Lakeland area. We are now excited to welcome customers from the Winter Haven, Auburndale, Bartow, Mulberry, and Polk City areas! For your convenience, we offer financing in addition to accepting all major credit cards. Don’t forget to check our website and like our Facebook page for special offers! Contact us today if you are in need of any of our residential septic services. Southeastern Septic offers professional Residential Septic Services in Lakeland, Auburndale, Zephyrhills, Mulberry, Bartow, Polk City, Winter Haven, Plant City, and Polk County.